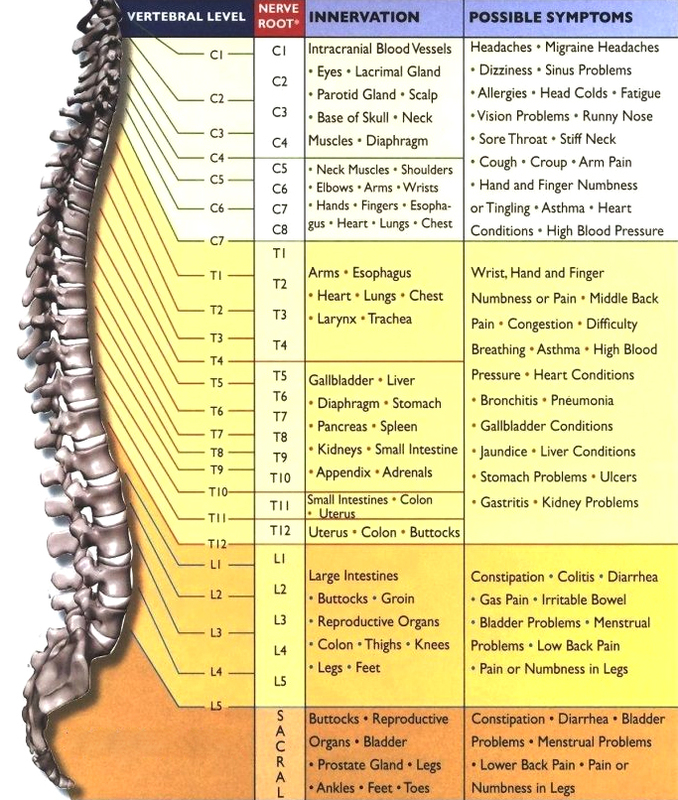 See the crucial function of every vertebra of your spine and how it affects the areas supplied by the corresponding nerves! It could very well be that pain is the least of your worries; every single level of your spine has a specific function, including vital internal organ control. It is imperative that you get your spine checked regularly to ensure that your body is functioning not just properly, but also optimally! Your symptoms and pain may very well be related to spinal subluxation. If you are suffering PAIN or Discomfort right now, don't wait any longer. Get relief right now!